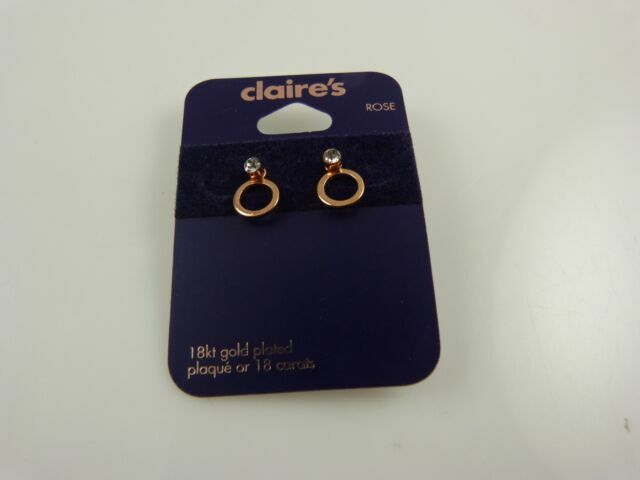 (You are looking at a pair of 18 kt gold plated crystal and rose gold earrings. Very pretty, Much prettier in person than in pictures. from Claires. Who wants to wait weeks?. =) So I do not expect you to wait either.